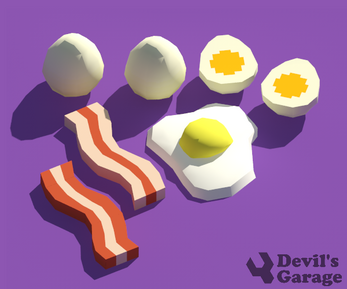 Thinking about building that meats & seafood shop game? 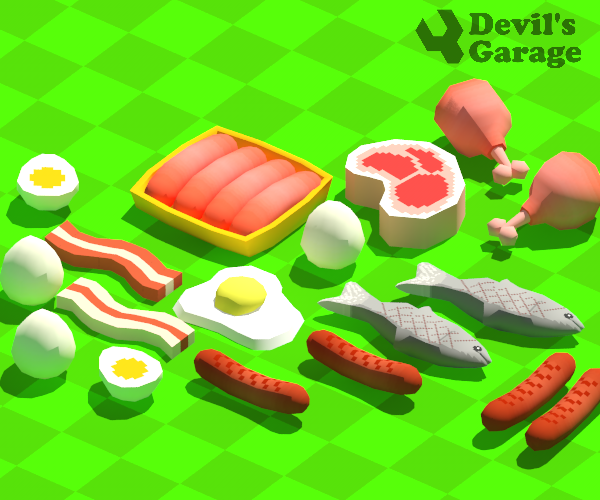 Look no further with the Low Poly 3D Pixel Meats & Seafood Asset Pack. 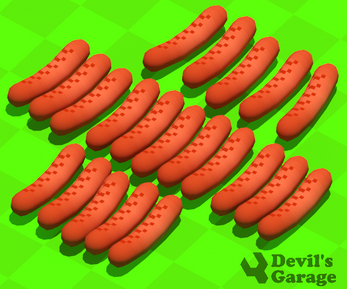 The Devil's Work.shop Lowpoly Pixel3D asset pack contains a whole bunch of food assets. 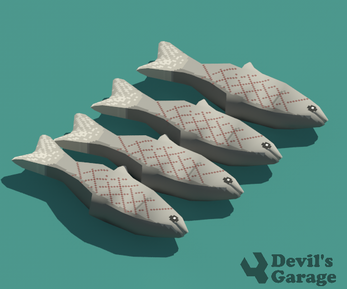 Each asset is cleanly modeled, textured, unwrapped, and UV mapped. The texture contains some pixel art that makes it look unique! 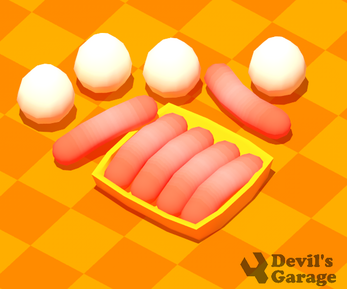 Some assets are separated so that you can build your own combination like a double, double burger, etc. The mesh and texture are very small and can be used in a sweet meat Shop / food game.